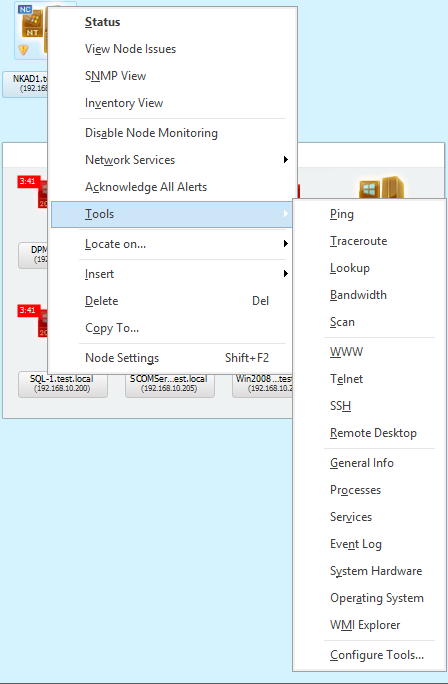 There are a number of monitoring solutions available to monitor network routers, Windows, and non-Windows computers, but many have disappointing limitations. For example, some products only monitor Windows computers and specific components. Others have the ability to monitor both Windows and Linux Operating Systems, but they require a monitoring agent to be installed. Ideally one would opt for a monitoring solution, which can monitor Windows, Linux, network switches, printers, security systems and many more without installing a monitoring agent. Since most monitoring solutions fail to provide all of these capabilities in one product, NetCrunch v8 from AdRem Software is a refreshing change. It provides all these capabilities without having to install a monitoring agent on the monitoring devices. Whether the monitoring solution is simple to set up and manage. If the solution is capable of monitoring non-Windows Operating Systems including Mac OS X, Linux, BSD, and VMware ESX/ESXi. Does it provide discovery mechanisms to discover devices? Can it monitor devices without installing a monitoring agent? Does it provide built-in mechanisms to recover from disasters quickly? Does it provide Role Based Management? Whether it provides a built-in database to store monitoring data for reporting and other purposes. If issues can be identified and fixed quickly. NetCrunch v8 provides all these capabilities in one product. You can monitor network devices, Layer 2 network traffic, and Windows and non-Windows Operating Systems. It not only has built-in rules configured to monitor the components but also provides the ability to fine tune monitoring packs to suit your requirements. There are many different scenarios supported by NetCrunch v8. 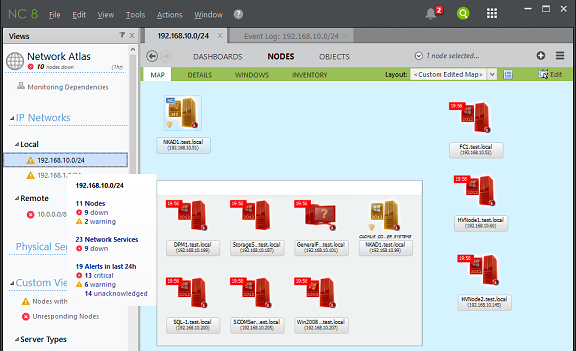 It can collect event logs including Windows Event Logs, SYSLOGs, SNMP traps, and performance counters. 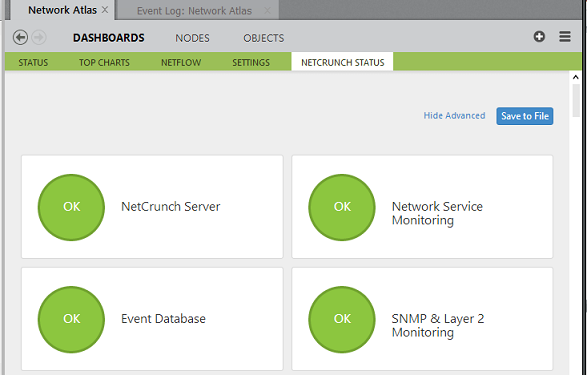 The data collected by the NetCrunch server is processed to generate the alerts in the NetCrunch Administrator console. The product ships with a configuration UI, which is much more flexible than any other monitoring solution I have seen so far. I’ll talk more about this later. NetCrunch v8 is simple to install on Windows computers. I did not have to spend much time to get it up and running. I was able to do it in four steps: download the NetCrunch Server executable file, download the NetCrunch Administrator console, install NetCrunch Server on a supported Windows Operating System on either a physical or virtual machine, and discover monitoring devices. The product ships with two components; NetCrunch Server and Client. The NetCrunch Server component is responsible for monitoring devices and the Client component is a console used to access the configuration information. Since monitoring solutions are always busy monitoring devices, there is nothing much required except making sure you have enough RAM and processing power available. I installed the NetCrunch v8 Server component on a Windows Server 2012 R2 with 8 GB of RAM without encountering any issues. NetCrunch v8 ships with its own database that is configured automatically during the installation. During the installation wizard, you are required to provide path for storing product files and database files. By default, the location “C:\ProgramData\AdRem\NetCrunch\8.0” is selected for storing database files. However, it is recommended to choose a separate drive for storing database files. The data collected by NetCrunch Server and its configuration information are stored in the database. After selecting the database file location, you are required to select a service account under which the NetCrunch Server component will operate. It is recommended to choose an Active Directory service account that is part of the local administrators group on each Windows computer. This will allow the NetCrunch Server component to collect monitoring data from Windows computers. NetCrunch includes its own Web Server to allow you to access minimal configuration information over a web connection. In the next screen, you can specify the network port the NetCrunch web site will listen on and then click the “Next” button to install the product. AdRem recommends installing NetCrunch on a Server Operating System where Antivirus is not running. The reason for this is because Antivirus software causes a lot of I/O operations. You can always add an exclusion in the Antivirus for NetCrunch processes and directories/files. 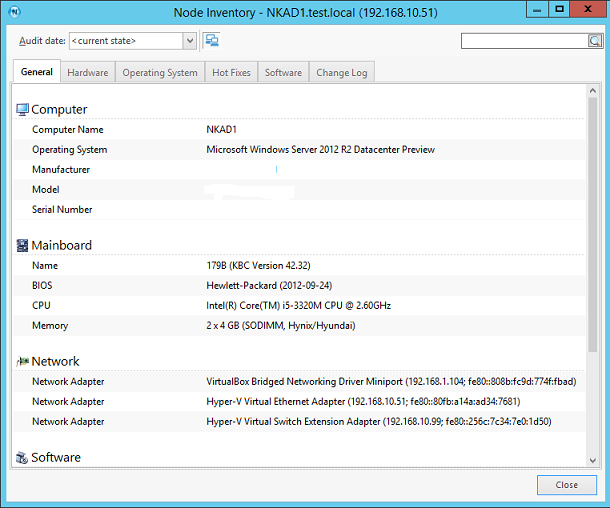 NetCrunch v8 can also be installed on a virtual machine running Hyper-V or an ESXi host. When you open the NetCrunch Administrator console for first time, you will be provided with two choices: scan your network or use NetCrunch Simulated network. Generally, NetCrunch Simulated network is used for testing purposes. Although NetCrunch provides an option for scanning your network when you open the NetCrunch Administrator console for the first time, you can always choose to discover networking infrastructure or Active Directory domains at a later point in time. All you need to do is invoke the discovery wizard from Actions Menu. NetCrunch immediately notifies you of any security risks. 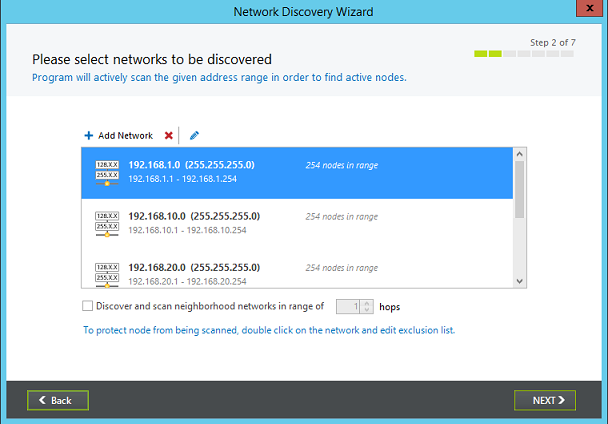 For example, during the discovery process I tried to scan a public IP network. A warning popped up notifying me that the network address is public and scanning such networks might be treated as a security violation. Although you are required to add IP subnets manually to scan network devices on those subnets, you will be pleased to know that the NetCrunch discovery process executes a number of functions internally to create Maps/views based on the IP subnets and routing information it collects during the discovery process. The discovery process also collects Operating System types, inventory data, and installed software applications from the discovered devices. Since most of the environments use Active Directory domains, it would be great if you could provide an option to collect IP subnets information from the Active Directory rather than entering subnet information manually during the discovery process. Although one might think that this is a missing feature in the current version, but in my opinion, not giving such an option would help you control the discovery process running for limited IP subnets. For example, you might want to monitor only servers located on specific subnets. After scanning my lab network, I saw a Map of my lab network as shown in the screenshot below. The inventory data helps you with a number of things such as seeing the patch status of a server, the software installed on devices, hardware information, etc. NetCrunch creates two default views under Custom Views; “Nodes with Issues” and “Unresponding nodes” and populates the node information underneath these two views. 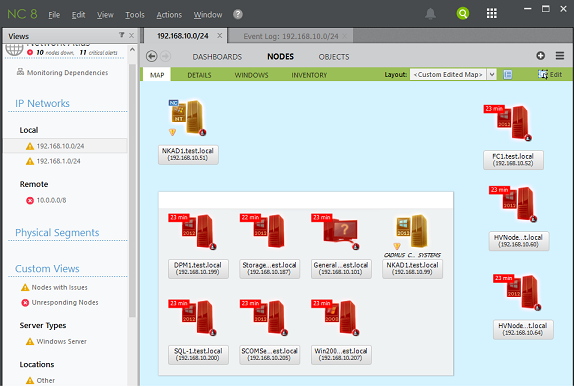 You can create your own view and link to one of the maps, servers, IP subnets, etc. 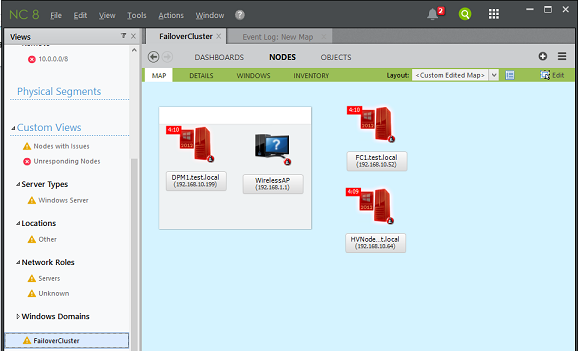 As you can see in the screenshot below, I created a custom view named “FailoverCluster” and moved all of my failover cluster nodes to that view. The general idea behind implementing a monitoring solution is to identify any issues quickly. When you open the NetCrunch Administrator console, you will be presented with the list of IP subnets it collected during the discovery process or any IP Subnet you added manually. Since NetCrunch groups the devices by the IP subnets, it becomes quite easy to identify issues with the devices by scrolling through the IP subnets. 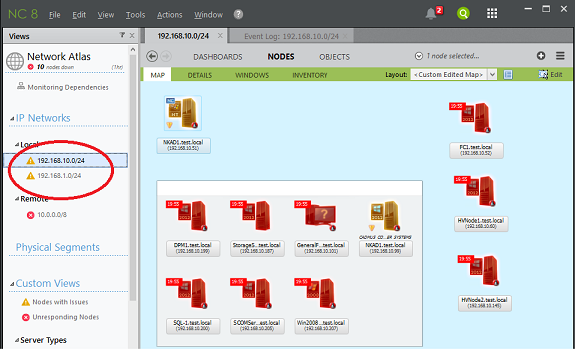 The best part of the console is that it alerts you to issues with any of the devices on the IP subnets by changing the icon in the front of the subnets as shown in the red circle in the screenshot below. If you need to know how many devices are down, how many devices are up, and how many devices are not being monitored in that particular subnet, all you need to do is hover over that subnet. Browsing through individual IP subnets will only show you issues with the network devices in that IP subnet. However, I wanted to see the overall status of devices located on my lab network. I did not have to do anything special to see the overall status of my devices. The default dashboard view on the NetCrunch administrator console provides you with a great network summary. When you click on any of the Nodes, you will see the list of Operating Systems which are being monitored, and the Operating Systems which have an error. 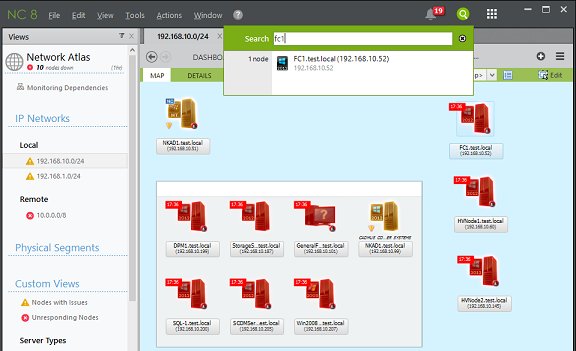 The best part of the NetCrunch dashboard is that it also supports the Right Click context menu on monitoring devices. You can check device status and issues, check inventory, and acknowledge alerts. I found it very interesting that NetCrunch also provides the ability to troubleshoot non-working devices from within the NetCrunch Administrator console. As you can see in the screenshot above, you also have the ability to perform several tests including ping, tracert, nslookup, telnet, etc. The new status dashboard helps you understand NetCrunch Server states and identify the case when a program is overloaded, as shown in screenshot below. Although it was easy for me to get the status of a device by navigating to the appropriate nodes, I also wanted to know if I could search the device by its name and then get the status. Indeed, it was there. All I had to do is click on the search icon located in the console, and then type the device name. 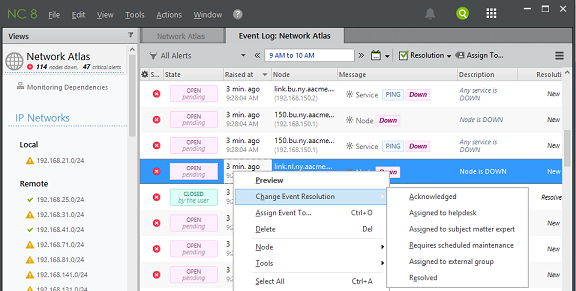 If you need to quickly see the alerts generated for all monitored devices including subnets, you can always navigate to the “Event Log: Network Atlas” Tab. If you need to close an alert, you can always do so by right clicking the alert and then selecting the “Resolved” or other various actions. By default, all internal alerts are correlated. NetCrunch knows when the alert began and when it was resolved. This is an important feature for programs receiving a correlated alert and NetCrunch takes action to resolve the alert automatically. 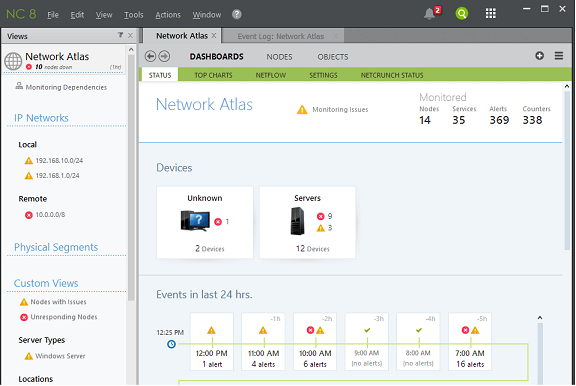 Although “Event Log: Network Atlas” shows you the alerts for all devices in one place, you can also see alerts for a specific device. Just right click the device and then click the Status action. 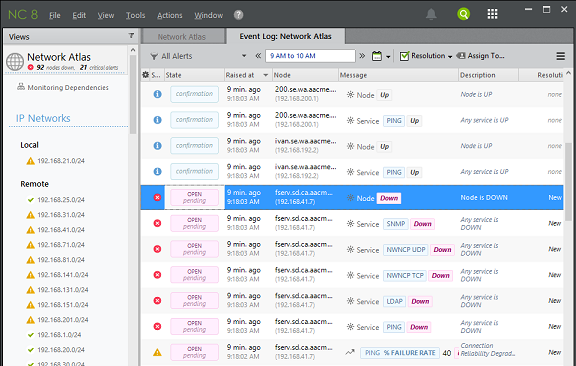 In the device status window, navigating to the Alerts option will show you all alerts related to that device. As you can see in the above screenshot, NetCrunch indicated that the Windows Time service was stopped on one of my servers (NKAD1.Test.local). This server is acting as a domain controller in my lab network and is required for authentication purposes. I wanted to see if I could start the service from within the console. I went to the Windows Services option and found that each Windows service supports a right click context menu, which provides you with the ability to start/stop/restart a Windows service on remote computers! For this, I have to give kudos to the AdRem development team for providing such options from within the console. This not only helped me discover the issue with the Windows Time Service, but it also saved time by allowing me to start the service from within the console. NetCrunch provides flexibility in terms of what can be monitored with the help of Monitoring Packs. NetCrunch v8 ships with 100+ Monitoring Packs containing monitoring settings for popular applications and devices. The devices are automatically added to the Monitoring Packs based on the device type such as Operating System type, etc. You can also create custom Monitoring Packs and modify existing monitoring packs to suit your requirements. To see available Monitoring Packs, navigate to Tools > Alerting & Reporting > and then click on Settings. To see the list of available Monitoring Packs please check this link. NetCrunch ships with its own Report Viewer. 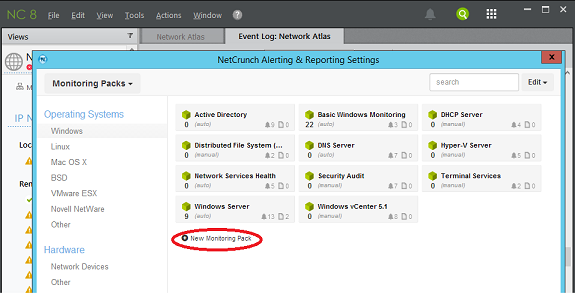 The Report Viewer allows you to see reports on various monitoring data collected by NetCrunch Server. To view reports, you need to click on the View menu and then select the Reports action. 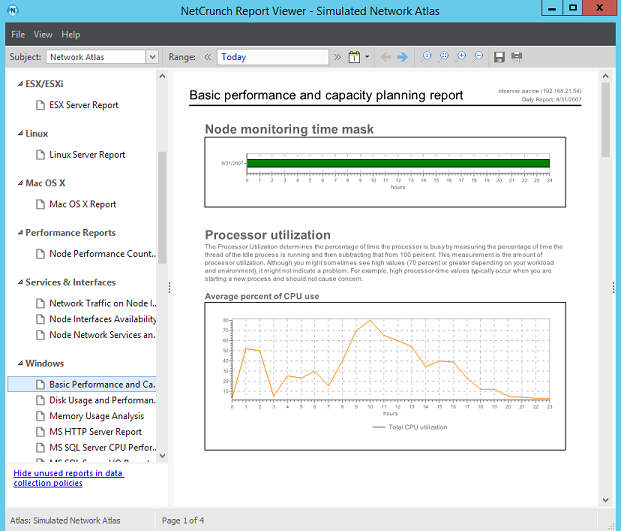 NetCrunch supports running multiple Report Viewers on the same computer. If you need to generate a report for another set of computers while the Report Viewer is generating a report, you can always go to View > Reports to run another instance of the Report Viewer. 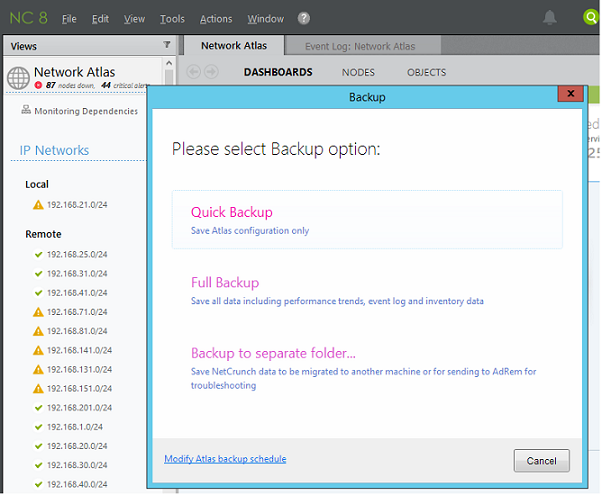 NetCrunch also allows you to configure schedules for the automatic backup of the NetCrunch configuration. To configure automatic backup schedules, click on the “Modify Atlas backup schedule” hyperlink as shown in the screenshot above. NetCrunch provides the flexibility of creating different profiles. The profiles contain the rights associated with a specific node or map. These profiles can be assigned to the users/groups you create using the NetCrunch Administrator console. 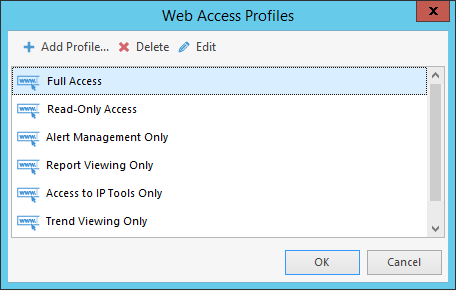 Profiles can be defined by clicking on Tools > Profiles > and then clicking Web Access Rights. Although NetCrunch ships with default profiles, you can always create your own profile by clicking the Add Profile button. Once the profile is created, you need to create the users' accounts and then associate the profiles with the users. I created a user account named Test2 and assigned “NewProfile” to the Test2 user. 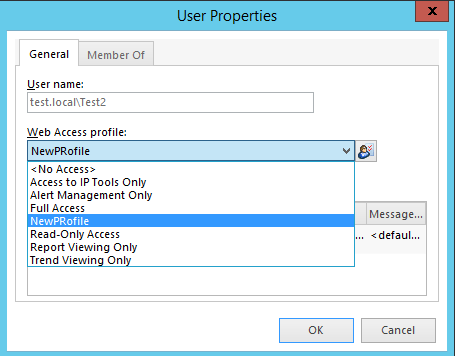 NetCrunch supports adding user accounts from Active Directory for authentication purposes. I was very happy with the online documentation that made it very easy to configure and set up the product. I followed the online guide available here. You can also find several knowledge base articles here. What I have heard from different sources is that the response time for NetCrunch support is fantastic and all technicians are knowledgeable. NetCrunch is a very cost effective solution. The prices start from $1755 for 50 devices but there are several purchasing options available. You can take a look at the different purchasing options available here. NetCrunch v8 is a great monitoring solution providing all the monitoring mechanisms you need at a reasonable price and without the necessity of installing a monitoring agent on the target devices. I really liked the product, as it was very easy for me to set up and more than easy to identify the issues. I would recommend this product for monitoring an organization’s network and I’ve given it WindowsNetworking.com Gold Award with rating of 4.9 out of 5. Learn more about AdRem Software NetCrunch 8 or download a Free Trial! 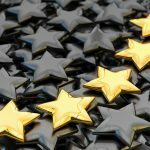 Nice Review, new version has been released. I would like to share here my experience with NetCrunch. In 2012 I had the pleasure to configure and setup one monitoring server in Doha, Qatar in order to monitor data like “Current State of GPS refclock conneted to NTP time server”, “Current Satellites n view and good of GPS refclock” and more, crucial information for synchronizing all the NTP clocks in the airport. That was a fantastic experience for me, a big thanks goes also to Sincron Srl. After its ultimate development in 2015, the airport will handle 50 million passengers, two million tons of cargo and 320,000 aircraft landings and take-offs each year. Here you find more information http://www.antoniodimaio.com/network-monitoring.php.